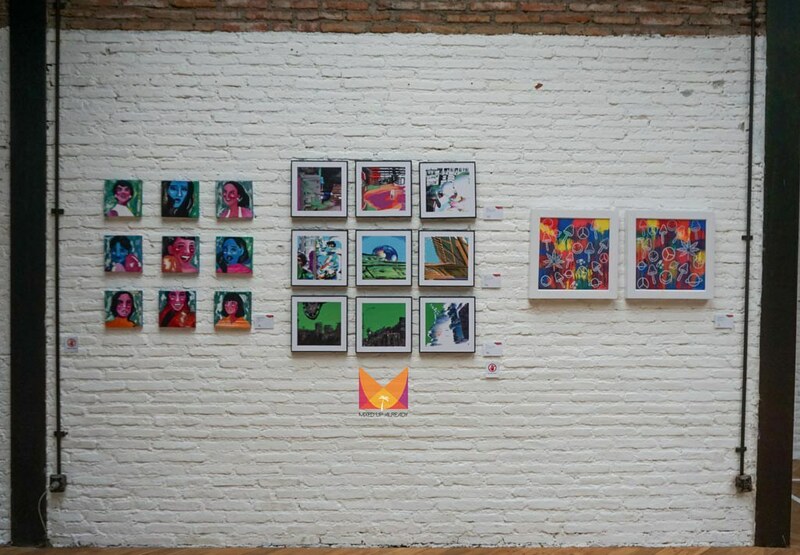 I knew about The Parlor Bandung when I saw my friend’s photos on Instagram, but the photo was taken at the Art Space. So at first I thought it is only the art space, just like NuArt Bandung, but my friend said that The Parlor Bandung is actually a combination of a few things, such as the cafe, art space, and distro. 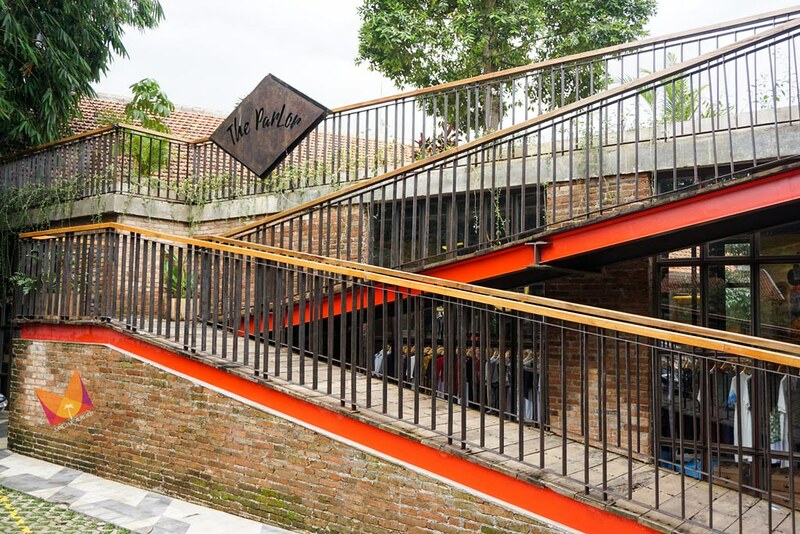 The location of The Parlor is at Dago Atas area in Bandung. That’s why, it has become one of my favourites cafe in Bandung, as it has a cool weather. The other reason is because the place is so Instagrammable, I think most of its corners haha. From the entrance of The Parlor Bandung has a painting on the wall. And after the parking space area, there’s another painting of the feet of a man and some women. It seems this spot is the must spot for your photo’s background haha. 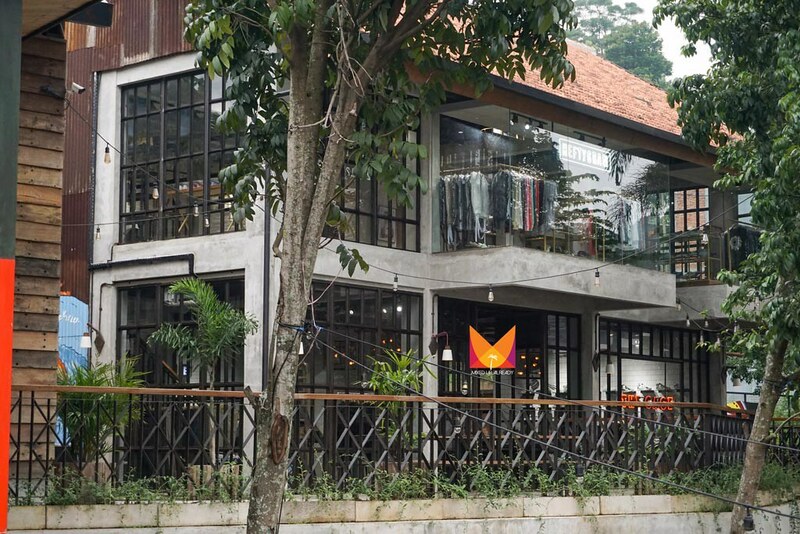 At the center of The Parlor Bandung, there is an open area surrounded by the cafe and distro. Perhaps it’s the area where there is a music performance, as there are benches made from woods circling the area, or we can use this as our Instagram photo set haha! 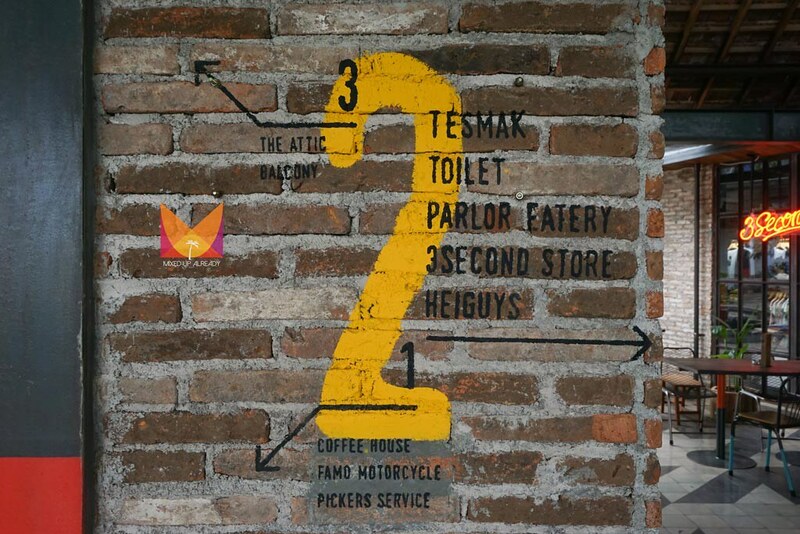 For the parking space, The Parlor Bandung has two parking areas. 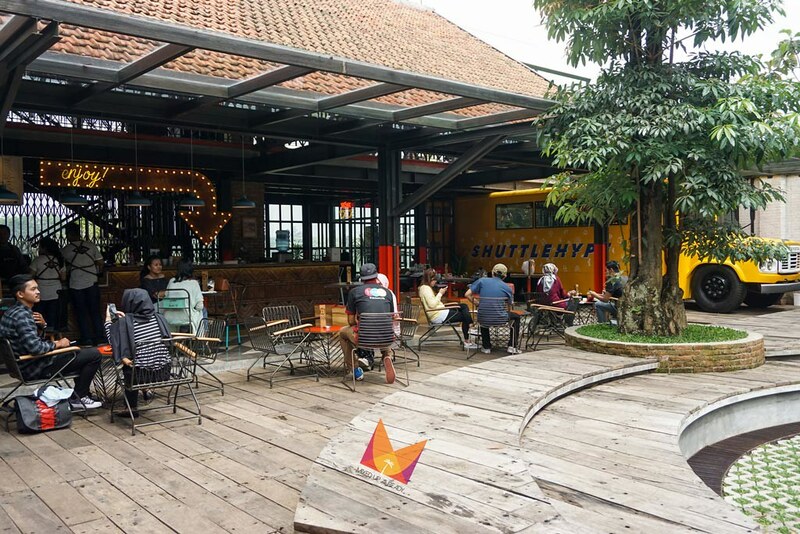 The main parking area is at the main entrance of The Parlor Bandung, while the other parking space is just below the café. You need to drive further down to the left from the main entrance. What else to love from The Parlor Bandung? Oh, the wall! Look at the wall, and you can see that the style is the naked bricks wall style, so you can see the layers of the bricks creating the walls. The naked bricks wall gives a homey and comfy effect to the place too. It looks so natural as well. Sometimes, they just leave the colour of the brick as it is, and some they painted the bricks to white, just like inside the Art Space. First, let’s look at the cafe. 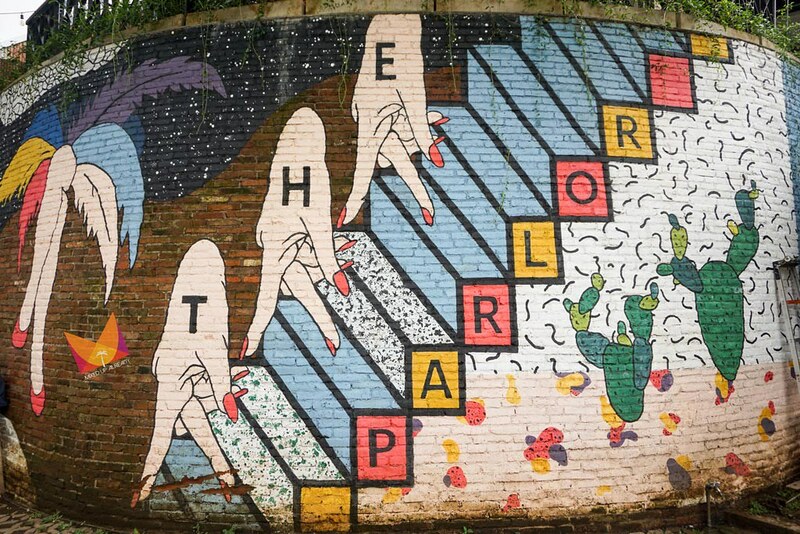 I have included The Parlor Bandung on one of my blog posts on my other blog about the hip hangout places in Bandung. I think the most favourite spot at the cafe is at upstairs, where in one area, there are plenty of bean bags on the floor. It’s a good spot to chill and relax with your friends. Sadly, I’ve never got a chance to sit at that area! Lols. However, I have another favorite seating area at The Parlor Bandung. It’s at the first floor, located outdoor, and it looks like the balcony plus it has a good view. It’s really nice seating there, with a cool weather, and sipping hot drinks and hot meals. The café serves variations of food, from light meals to real meals haha. When I came here with my friend, we tried their black pepper beef and the fish ‘n chips. Somehow, I preferred their fish ‘n chips better than my black pepper beef. Love the sambal on top of the fried fish. I think I moved some of the chilli to my plate haha. Their light meals are also interesting, but somehow, I could not find my photo of the meals. I did try their crispy tofu, where they cut the tofu to cube and mix it with chilli padi. There are plenty of distro at The Parlor Bandung, but I only visited one of the distros, called 3 Second distro, which is just next to the cafe. It sells clothing line, such as 3 Second itself and Moutley. Bought two pieces of Moutley’s T-shirts, and my friend even bought more clothes and a cargo trousers haha! This distro has a good spot, so while the guests are waiting for their food to be served, or after they have their meal, they can just walk inside to distro to pass the time. I didn’t just pass my time here, I bought a few T-shirts of Moutley, while my friend – who was curious on why I spent some time inside this distro, then followed me inside – managed to buy more clothes than I did, and a cargo trousers lol. Luckily, I only visited this distro, not sure what happened with my wallet if I entered all of the distros haha. 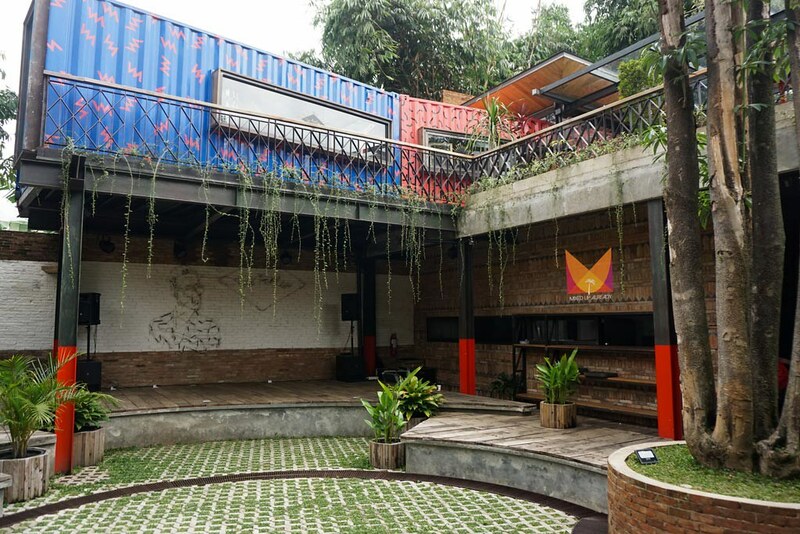 The distro occupies some of the area at The Parlor Bandung. If you see a yellow school bus near the cafe, I think it’s a distro too. Not sure why I didn’t enter it just to check it lols. If I am not mistaken the house at the front near the parking space, is also a distro that sells shoes and some clothing lines too. I did see two containers installed at the second floor of the house in front of the cafe. I guess that’s a distro too. I didn’t enter these containers, but my guess that it is a distro too haha! The Parlor Bandung is not entirely art space just like NuArt, but it has a small area inside the building, dedicated to art. When I visited the Art Space, the arts that are being displayed mostly are paintings and a few statues. I think the paintings that were displayed, were more to contemporary style of paintings. Well, I have no clue about paintings, so I just really enjoyed seeing the paintings. What do you think of The Parlor Bandung? 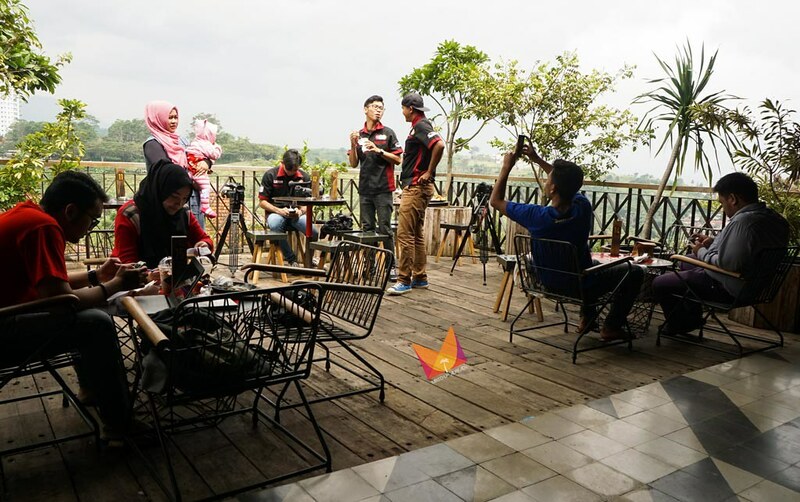 Where’s your favourite spot at The Parlor Bandung? Bandung, always stunning with everything it has..